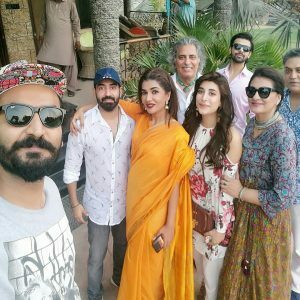 Urwa and Farhan, Back At It Again! Urwa Hocane and Farhan Saeed are arguably the most iconic couple of Pakistan showbiz these days.This couple has a chemistry that leaves you hoping to find someone like them in your life. They make you believe in soulmate, match made in heaven and the romantic novels. The on-screen couple of the super hit TV show Udaari, is ready to grace your TV screens again on Nadeem Baig’s telefilm this Eid-ul-Fitr. 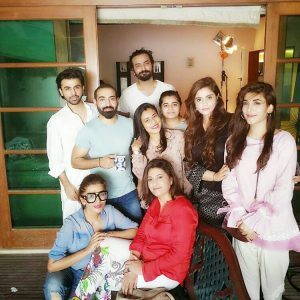 Farhan and Urwa have played pretty intense roles in the past, but according to the director of the untitled telefilm, this telefilm will be unlike the roles these actors have played together in the past. This project’s script is majorly a comedic script but it entails romance and drama too. The plot is nothing special; a young couple wanting to get married but facing hindrances in their unity by the hands of their family. However, Mr.Baig promises that the way the script is written is what will leave the audience captivated and engaged. The fact that one of the real-life fan-favorite couples (OTP) is starring in it just makes this telefilm more interest worthy. Farhan and wifey, both have excelled in the field of acting, both separately and together. It’s time to watch their ‘together’ magic again! One should not only look forward to the Telefilm but also to the BTS pictures of the young couple that will hopefully be posted on social media!